Instructional materials for the online course may be designed with rich multimedia content and innovative approaches. Student engagement with these materials is unseen and left to be inferred. Design based research is an approach used to study intervention in the context of an authentic classroom. 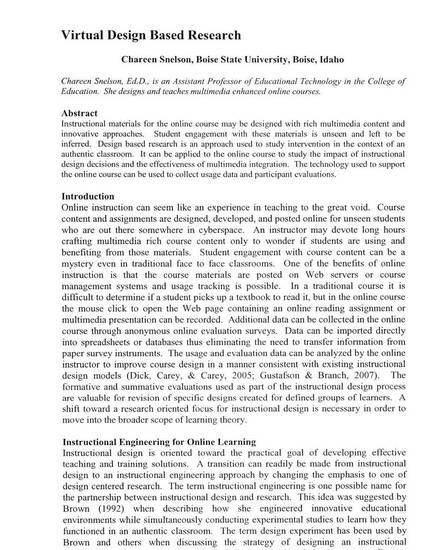 It can be applied to the online course to study the impact of instructional design decisions and the effectiveness of multimedia integration. The technology used to support the online course can be used to collect usage data and participant evaluations.